12 p.m. - 3 p.m. - 6 p.m. 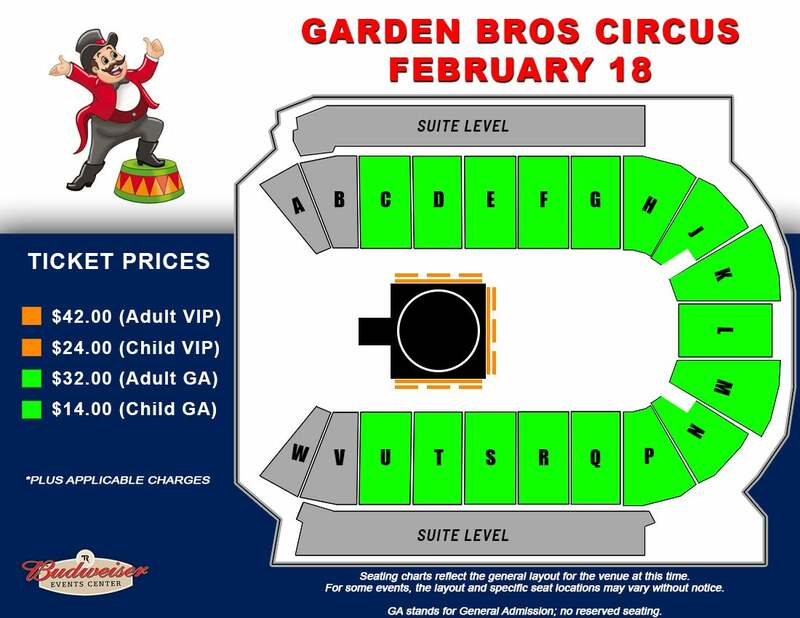 The all new 2019 edition of the Garden Brothers Circus is coming to the Budweiser Events Center at The Ranch on Monday, February 18 with 3 exciting performances at 1 p.m., 4 p.m. and 7 p.m.! This year’s show is packed with breathtaking special effects, concert style sound and lighting with 3 rings bursting with excitement, laughter and memories that families will always cherish. The very best performers from over 22 countries make up this action packed, fast paced 100-minute performance in a theatrical European 3 Ring setting featuring the Crazy Kambarov Horse Riderz, daring aerial artists, the human pyramid, elephants, motorcycles in the Sphere of Fear, contortionists, the funniest clowns, jugglers as seen on America’s Got Talent and so much more! Don’t forget to check out the Kid’s Fun Zone! Ride an elephant, a camel, a circus pony, enjoy a giant slide or bouncy house and the whole family can have their face painted like Spiderman. Come hungry because there is always plenty of food.